Nice pair of vintage Paul McCobb iron leg stools and newly recovered in leather. Paul McCobb designed planter. 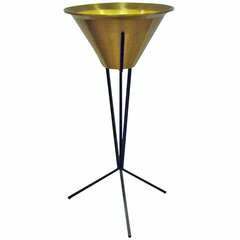 Copper bowl supported by blackened iron stand. 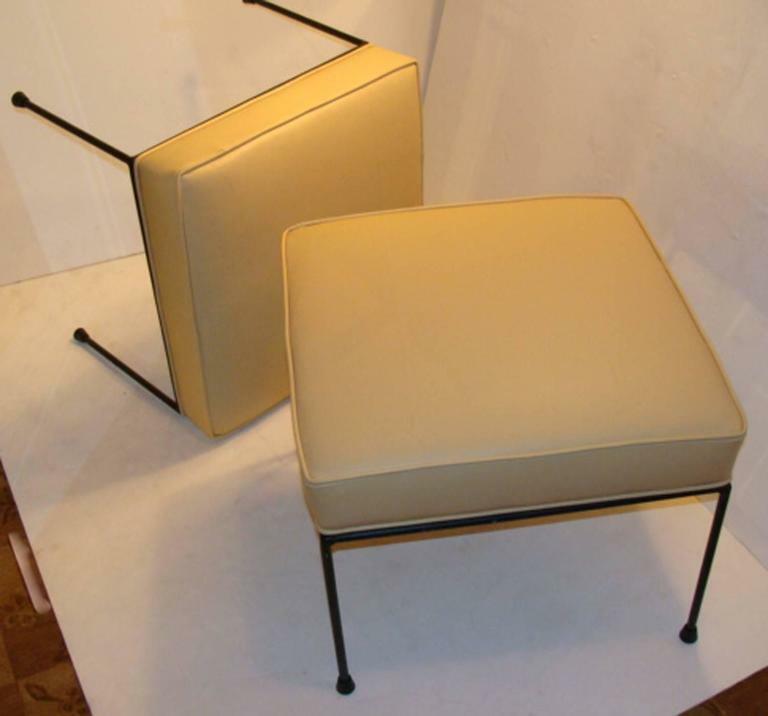 Pair of Paul McCobb brass stools, shagreen silver leather, with brass criss-cross bases, adjustable feet. Single stool by Paul Mccobb. Appears to have newer upholstery. All feet glides intact. From the curated collection Space 20th Century Modern. 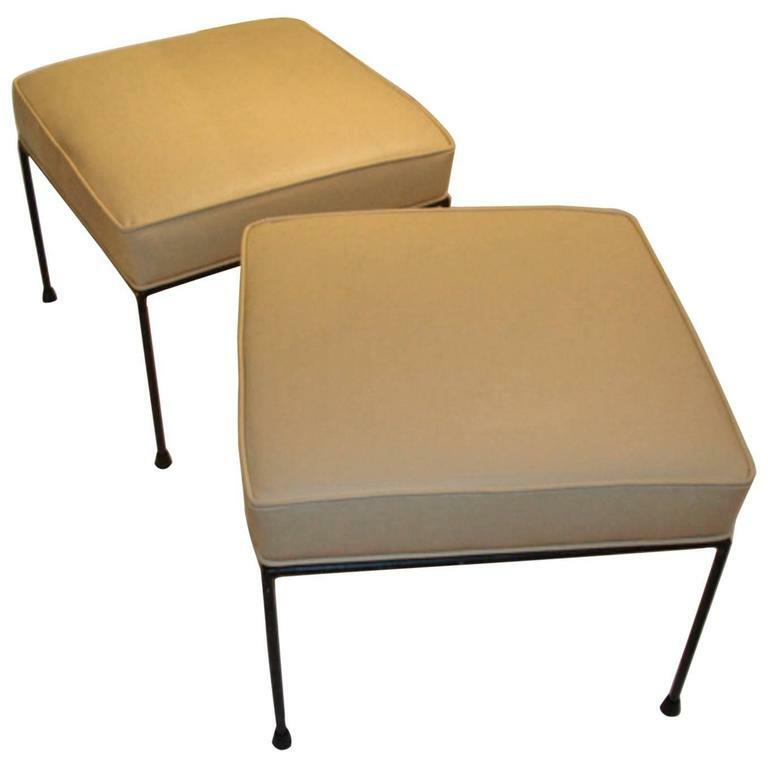 Pair of brass X-base stools Paul McCobb for Calvin Furniture. 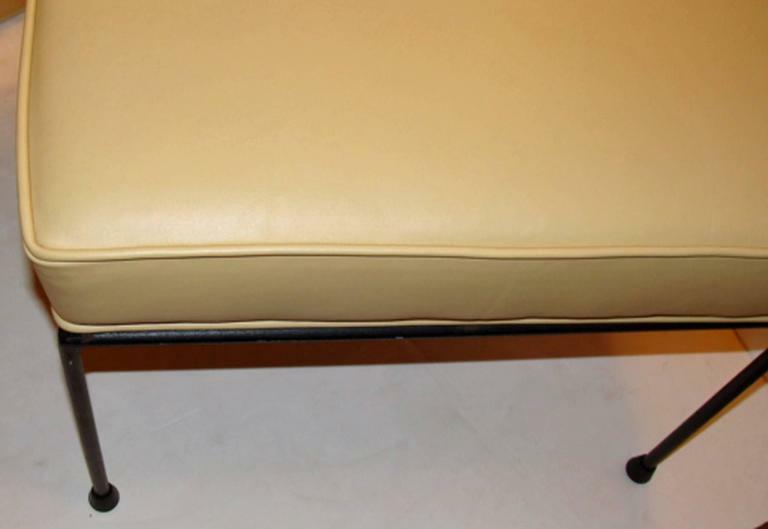 New cushions and upholstery over polished brass bases. 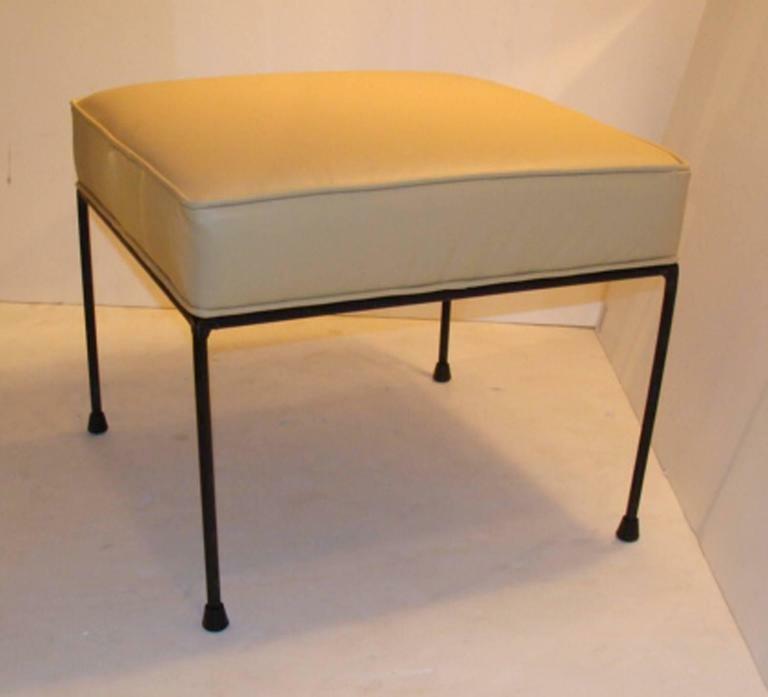 Original Paul McCobb Iron stool with vinyl seating surface in green skai upholstery. 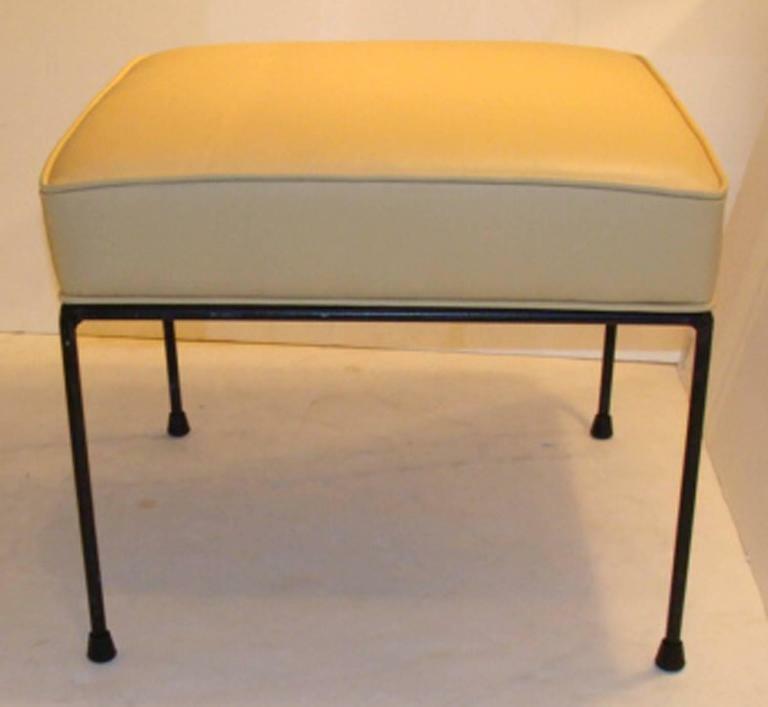 Single Paul McCobb stool in original vintage condition with original upholstery. All feet glides still intact. 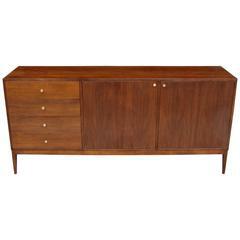 From the curated collection Space 20th Century Modern.